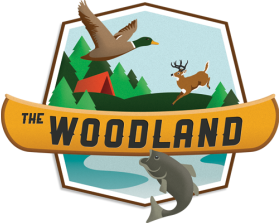 Regardless of your reason for visiting our area, plan to stay at The Woodland! The Woodland Motel is a small, hometown motel which features eight newly remodeled rooms. All rooms have new furnishings, new beds, new flooring, new windows, flat screen TV’s and satellite television. Our motel offers simple, clean rooms at an affordable price. * Motel registration needs to occur at The Woodland store. Please stop in at store prior for room assignment. Thank-you.